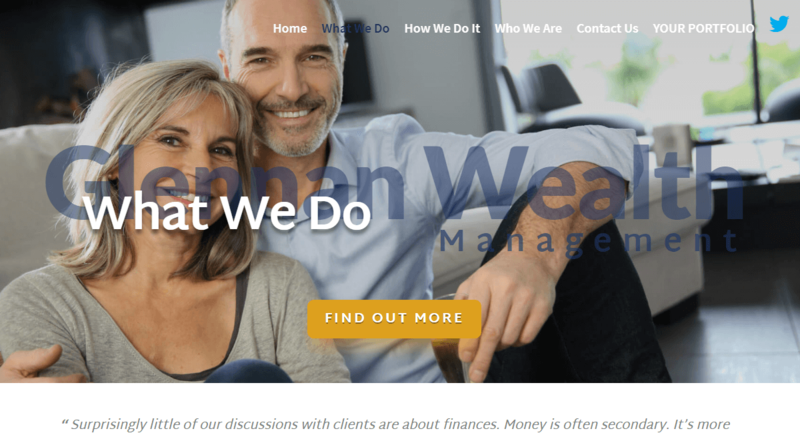 I was introduced to Lee Gleenan, founder and Managing Director of Glennan Wealth Management, by a mutual friend – James Glasheen. James is also an existing client of mine and when Lee saw James’ website he asked if I could update his site too. Lee’s primary purpose and desire for updating his website was not necessarily in driving lots more traffic, enquiries and clients, but to better project his business to appeal to the right type of clients he wants to attract. He has a finite number of clients he needs and wants to serve – and is not too far away from that now. 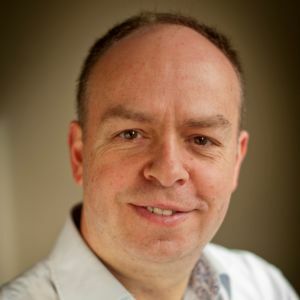 You can find out more about Lee and his business model in this interview with online publication New Model Advisor. 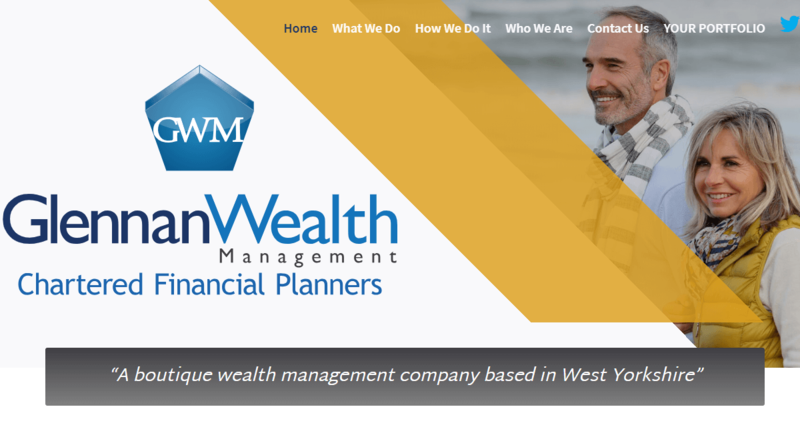 With this in mind – and also very much part of Lee’s vision from the start – the Glennan Wealth Management website has much more of ‘corporate’ look than most other sites I create. Particularly with the Home Page which you can see above. On the Home Page we have three introductory sections which link to the other main pages within the site. To ensure the best experience to visitors on all different sized devices, quite a few sections within the site have slightly different versions for desktop (laptop), tablet and mobile viewing. If you just build one website for all devices these days then you’re not going to give the best experience for all users. Some adaptation is essential. Good images are always quite difficult, and time consuming, to find for professional services sites. Often there is little choice other than to look to stock images, but they need to look as little like stock images as possible! In this case I managed to find quite a few of the same couple, in different scenarios, which allowed us to have a ‘consistency in branding’ across the whole site. Despite not needing to attract many new clients Lee chose to invest in the extra service of the SEO Booster Pack as a one off piece of work. This will help to create a more solid foundation for your website online and can, over time, help to boost your business’s positioning in Google and the other search engines.